If you read my last article on why Lanzarote should be on the bucket list of any discerning travel or landscape photographer, then I hope your appetite is now suitably whet, and your lenses are focussed on making a trip to Lanzarote happen. Well I’m pleased to tell you this will be an easy feat to achieve. Lanzarote is delightfully accessible and welcoming to visitors of all ages. 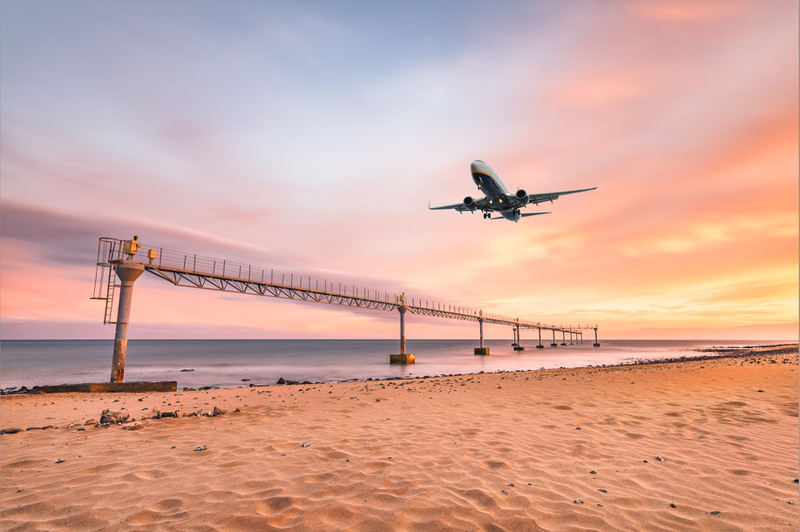 In this article, let me offer some tips and advice on how to shape your trip to make sure you get the best the island has to offer. Firstly, when to go? 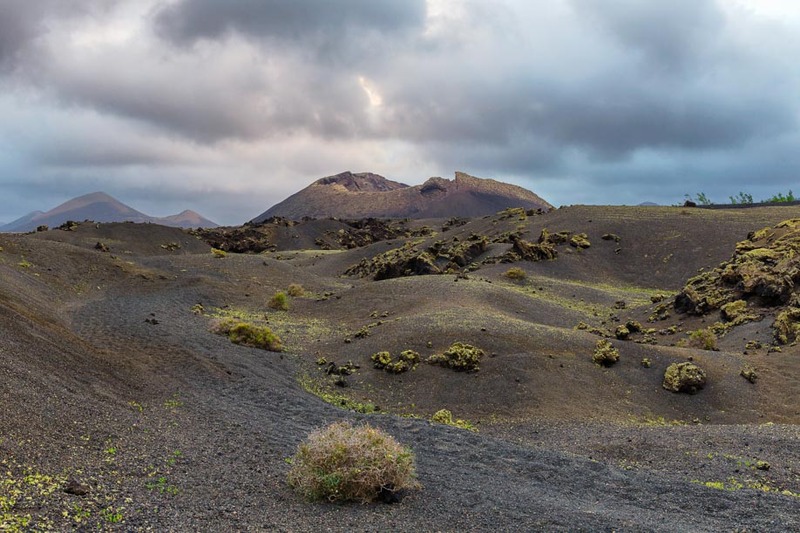 A distinct advantage of Lanzarote over many of the popular photography pilgrimage destinations is that it offers epic scenery and unique landscapes alongside a pleasant climate and is accessible all year. It lends itself as an easy stepping stone into the realm of dedicated landscape photography trips because it couples perfectly as a holiday destination. Tempt your significant other into the idea with the offer of stunning beaches, vineyard tours, excellent food and everything in-between. 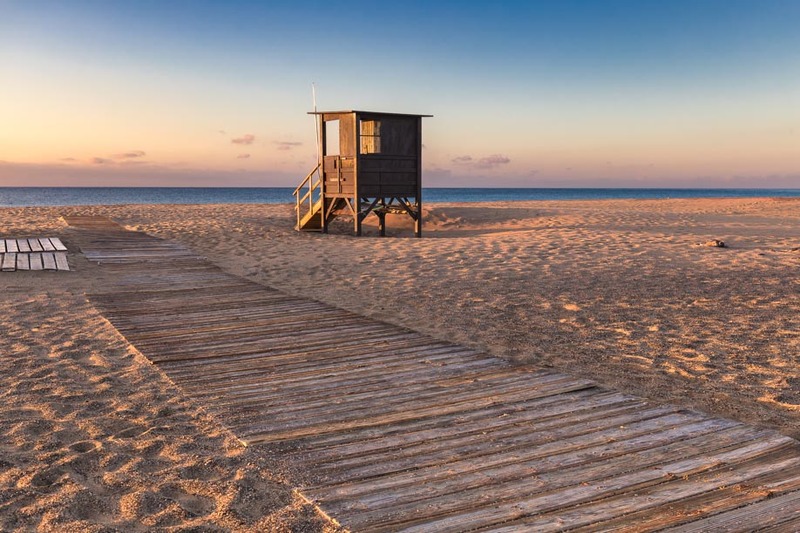 Turning up to Lanzarote in the ‘cold season’ doesn’t really happen, because it has a year-round subtropical climate, in which the temperatures remain remarkably consistent throughout the year (peaking slightly in August). As a well established tourist destination travel and accommodation is most expensive during the peak summer months. Visiting outside the peak seasons of June – September will get you more for your money. In contrast to the fairly static temperatures, the daylight hours do vary a lot throughout the year. Make this work in your favour for the style of trip you want. I prefer to visit in December and November because the daylight hours are shorter, meaning I don’t need to set the alarm at antisocial hours to capture sunrise. At the other end of the day, shooting sunset through to blue and night sky is done and dusted in time to then catch an evening meal with the family. 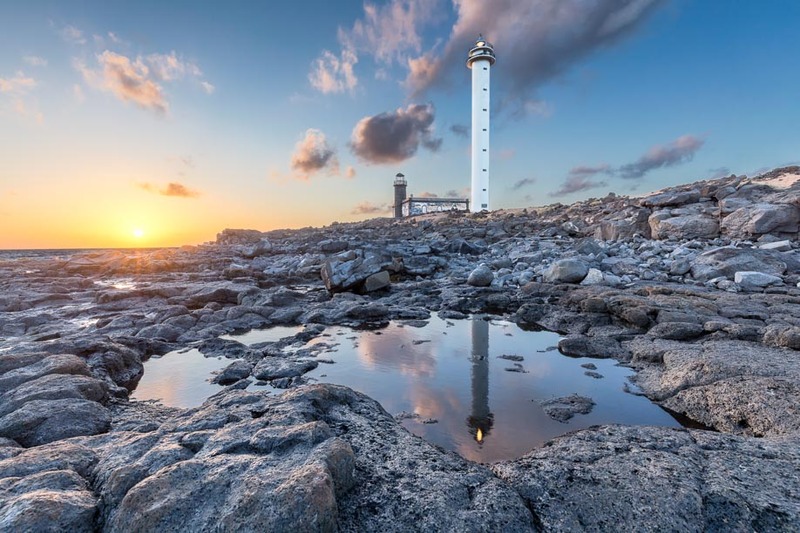 In April or September you’ll see longer days casting natural light on your subjects for much longer, but the ‘holy grail’ times of sunrise and sunset can be more challenging. Ready to hit the beach in December? The year-round climate subtropical climate makes it easy to combine a holiday with your photography pursuits. For a focus on fitness and well-being, check out Club La Santa on the north coast. A renowned training destination for athletes and sports enthusiasts, La Santa is also well placed to reach Famara, and the northern tip of the island. For an inland location with character try Teguise, inland market town which comes alive every Sunday for a thriving local market. This image was shot just outside the established resort of Playa Blanca, proving that basing yourself in an established resort doesn’t reduce your chances of capturing great shots. Search a range of hire companies for your required dates using com. I’ve often found local company PlusCar beat the prices of national/global agencies. If you plan to explore off the beaten track, choose a car or small SUV with plenty of ground clearance. Lanzarote’s newer roads are in perfect condition, but the island still has a range of ‘old roads’ marked by red wooden signs, and surfaced in gravel rather than tarmac. Your rental company will usually give you a free map funded by advertising, but these basic maps rarely distinguish between established tarmac roads and the older gravel/dirt track routes. Buy a roadmap for a few euros from a local supermarket which has more detail. Older routes will normally be marked in a different colour. Hire a car to reach some of the lesser known locations we guide you to in the Photographing Lanzarote ebook. Volcan el Cuervo sits on the edge of the protected national park area of Lanzarote, easily accessible by car. Now you’ve established a place to call home, and a way to get around, where should you visit? the Canary Islands tourist information website is a great place to see the most common attractions that you might want to weave into an itinerary. But what about those ‘off the beaten track’ locations that only locals would know about? Those truly unique photography locations that might be steps away from a major tourist attraction? The Photographing Lanzarote ebook is my answer to this question. Available now on the iBooks Store, the Photographing Lanzarote ebook is a beautifully designed digital guide to the most amazing photography locations on Lanzarote. Leaving the most common attractions to be covered by readily available visitor information, the Photographing Lanzarote ebook starts with the lesser known and off the beaten path locations that one could easily miss without a degree of insider knowledge or a helpful tip from a local. It includes chapters for each suggested location, including times to visit, how to get there, sample shots, and a video introduction. All of this contained within the book itself, meaning you don’t need a data connection to use it while travelling. Like an app on your phone, the book is constantly being updated and evolves with each free update. 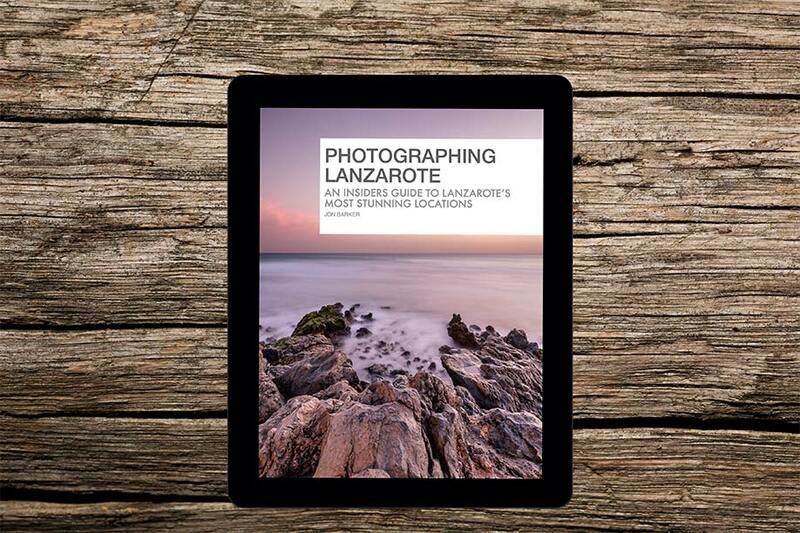 If you have an iPad, iPhone or Mac, grab a copy of the Photographing Lanzarote book before your trip. Don’t have an iPad? Photographing Lanzarote is coming soon to other platforms – if you have another device you’d like to see us bring the book to, register your interest here or join the newsletter to find out about new releases. Photographing Lanzarote is your insiders guide to the most stunning photography locations on Lanzarote. Canon EOS 6D Camera. The 6D has become my go-to camera for shooting content for the ebooks I produce. The inbuilt GPS feature tags the location of photographs automatically, and it has a logging mode which can trace the route to the location for mapping later. Canon EF 24-70 f/4. The 24-70 (or 18-55 on crop-sensor cameras) focal range is great all-rounder. I used it for the Ghost of the Telamon shot covered in Photographing Lanzarote. With all of the above fitting perfectly into the Advanced Backpack, it’s a great and portable set of kit for travel photography. Ready to fly? Grab your copy of Photographing Lanzarote and go explore! Hopefully these tips along with the Photographing Lanzarote book at your side will give you some helpful tips to craft your own trip to the island. Go and explore, take some great shots, and share them with us at the Photographing Lanzarote community on Facebook or Instagram when you come back.